Thanks for your feedback. To clarify, are you talking about the highlighted areas in the extension? Please provide screenshots if there's anything I missed and I'll discuss this with the design team. Thanks for checking up on this. We're preparing to roll out some exciting updates that have delayed this fix. We hope to have this fixed soon! Thank you. That is correct. The light blue areas that you have highlighted above are so light that they are barely readable. I reported this issue to support on 23rd November 2015, I can't believe that it still hasn't been resolved. Do you not think you should be fixing the bugs you've created rather than focusing on 'exciting updates' that will likely cause even more bugs? I have no objections to updates that improve functionality, but we're seeing more bugs than ever. 2) No icon for MRT ratings. 3) Contact support forms don't work for all users. 4) Trusted source listings don't always show. 5) No link to parent scorecard from sub domain scorecards, or warning of the poor rating caused by the parent. 7) Scorecard categories not showing in comments. 9) Trusted members now have lower reliability & little to no impact on scorecards. 10) Firefox issues - when I need to visit a site & rate through the add on, it says I need to create an account despite being logged into my account. I am also being logged out of chrome & FF today. IMO the category titles are too close together, whilst the 'Protect your Browser ' link is too big. Do we really need this at the top when there at least 3 other links at the bottom of the page? 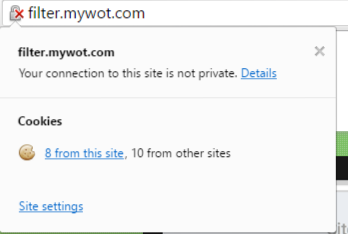 As I have already commented on the blog post, The new filter.mywot.com site unlike the rest of WOT doesn't use HTTPS even though the mywot.com certificate is wildcard. I don't know if you can upload your key, certificate, and chain (I believe Amazon has adequate security for this) to the Amazon service you are using for filter.mywot.com though. Also the responsive style used by the same site chops off the header and footer shared with the main site. This is happening on my Samsung Galaxy S5 phone. Note that on these screenshots the Chrome flag "Mark non-secure origins as non-secure" has been enabled to emphasize the lack of connection security. I can not scroll to reach the right side of the header or footer there. The main WOT site is not affected, but it has the wrong doctype tag; the canvas elements used by the scorecards are not supported by XHTML and could theoretically cause browser compatibility issues in a browser that decides to be "strict" about the HTML or XHTML. Because WOT uses a doctype of XHTML if you look at the source of my post you will find the <img> tags I use have a trailing slash per that standard. 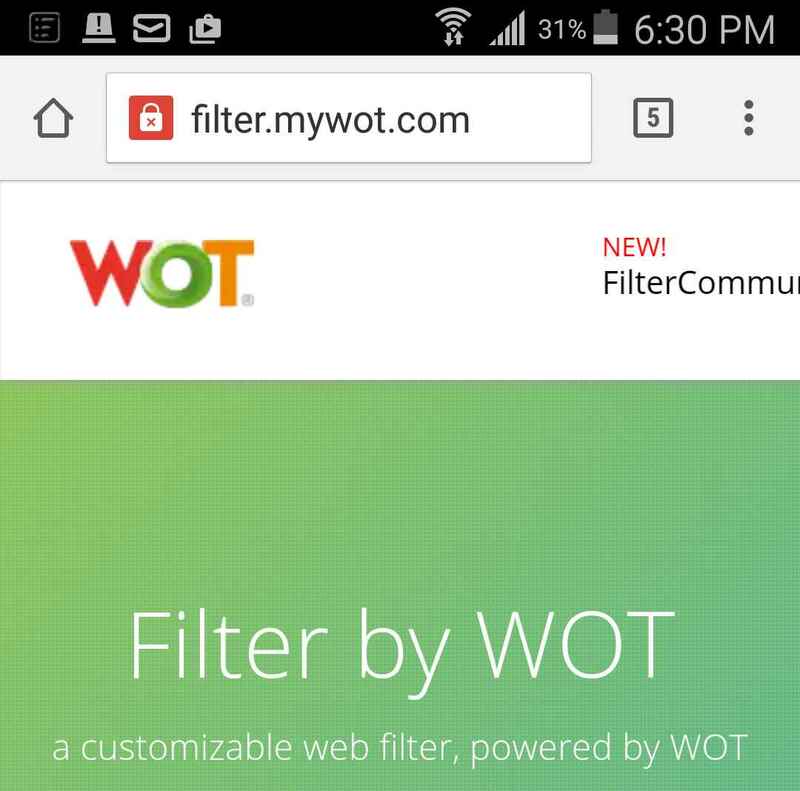 Regarding filter.mywot.com, I have determined the site is on a dedicated IP (I can access it by IP address) so you should be able to provision HTTPS support. Are you using Amazon Linux on your server? If so please read hxxps://docs.aws.amazon.com/AWSEC2/latest/UserGuide/SSL-on-an-instance.html for instructions to install your key/certificate (skip the part about generating and use your existing key/cert) and to tighten up the security of your Apache server. I've passed your request on to the design team and hope to have good news for you soon! As we work on badly needed updates and improvements to both the site and extension, it's true that new bugs appear, no matter how hard we try to avoid this. That being said, as we make improvements, we still need to prioritize bug fixes and feature requests meaning that some requests have to wait. Our team is working hard - most of this work is done in the background and not visible to you. For instance, at this moment they're working on improving Captcha as well as several other issues. 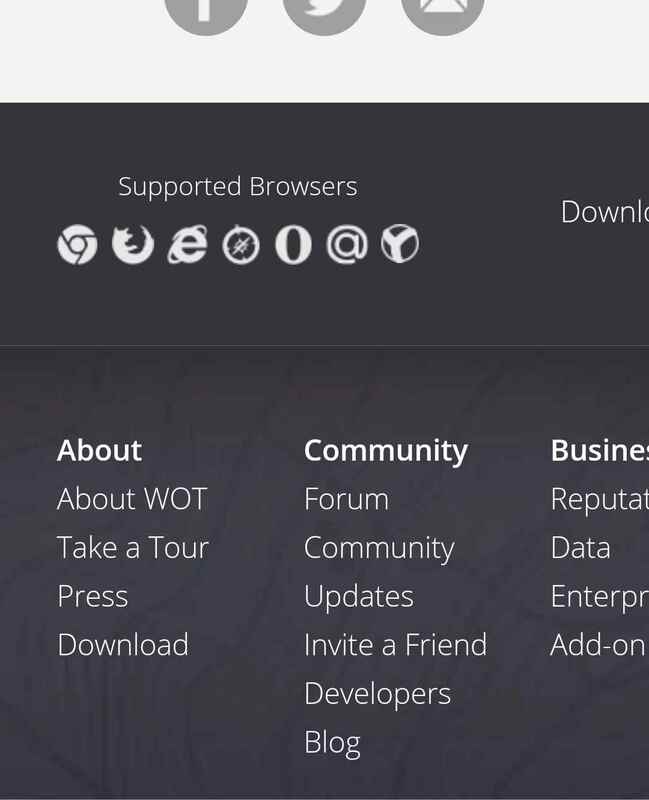 In cases where there are individual issues, please start a new thread or send us an email to support@mywot.com.